It seems the Applied Biosystems ProFlex 2x Flat Sample Block PCR / Thermal Cycler ID #: 18075 has been sold and is no longer available. Looking for similar items? Click Here to easily view our available inventory similar to your search. 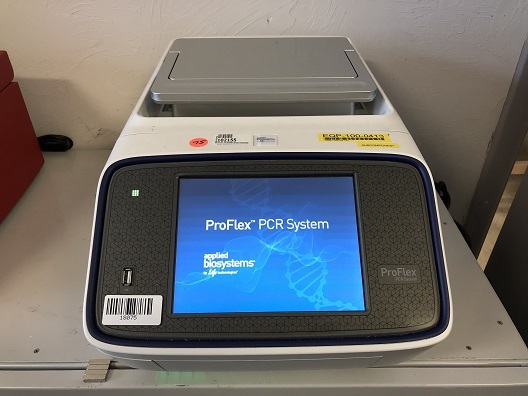 The ProFlex 2x Flat PCR System offers a flexible configuration and control features that adapts to your research. The system is optimized for 24 20K chips for use with QuantStudio™ 3D Digital PCR system and 8 TaqMan OpenArray Genotyping plates. The product also features remote system access via a mobile app, PCR optimization with VeriFlex blocks, and interchangeable block types. Thank you for your interest in the Applied Biosystems ProFlex 2x Flat Sample Block PCR / Thermal Cycler (ID #: 18075). To speak with a representative, please fill out the contact form below or call us directly.